Southwest Car Care Center is a full service automotive repair and maintenance shop located on Mason Rd in Katy, TX. Established in 1990 by Richard Meinen, we are family owned and operated and have been operating in this very location for over 27 years. 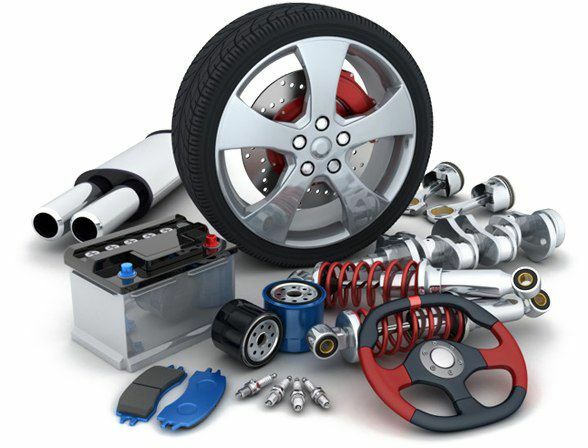 We specialize in Engine Repair, Tune-ups, Engine Performance, Diagnostics, Air Conditioning Service & Repair, Brake Service, Electrical Repair, Transmission Service, Steering and Suspension, Wheel Alignments, Factory Scheduled Maintenance, Oil Changes, Tire Rotation & Balance, Pre-Purchase Vehicle Inspection and more. We also carry a full line of BG Products. In today's world, there are shops that only specialize in brakes or tires or batteries or oil changes. We are a shop that continues to do it all....auto repair from bumper-to-bumper! Found my new car guys. Whenever I need something done on my vehicles, I take it to Matt and James at Southwest Car Care. These guys are top notch, very professional, knowledgeable and highly skilled in the work they provide. Customer service was excellent. Rare to find such integrity and excellence. Highly recommend! I have gone to Southwest Car Care for several years and from day 1, they have always provided great friendly service. For over 20 years my family and extended family have used these guys. Wouldn’t take my vehicle any other place. They can repair anything! I was so impressed. They were very nice, patiently explained what we needed to have done, and got it done as quickly as I could have hoped. James and Matt always are prompt with the repairs that are needed. They are trustworthy people. That is difficult to find in this field. I was surprised that they even remembered my name after having only visited a few times. I have been a loyal customer at Southwest Car Care Center for nearly a decade. I always get top-notch service, accurate advice, and fair pricing. There is no other shop I can recommend as highly as this one. Have been a customer for approximately 25 years. Always trust what they tell me as honest and trustworthy. I've been going to Southwest for over 15 years and wouldn't take my vehicles anywhere else. Super friendly staff, the best I've had in a good while. Definitely check them out.